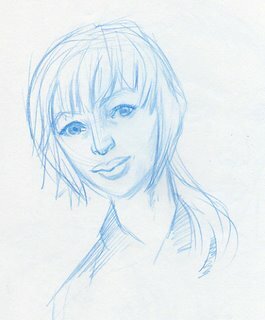 Okay, I'm finally caught up scanning everything I want to scan from my sketchbook. 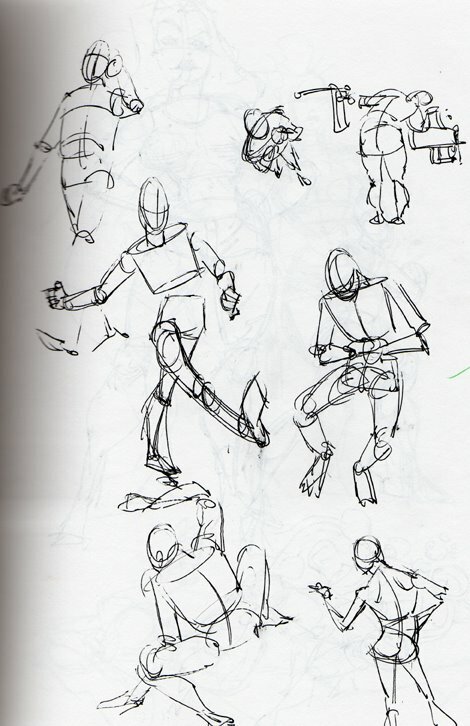 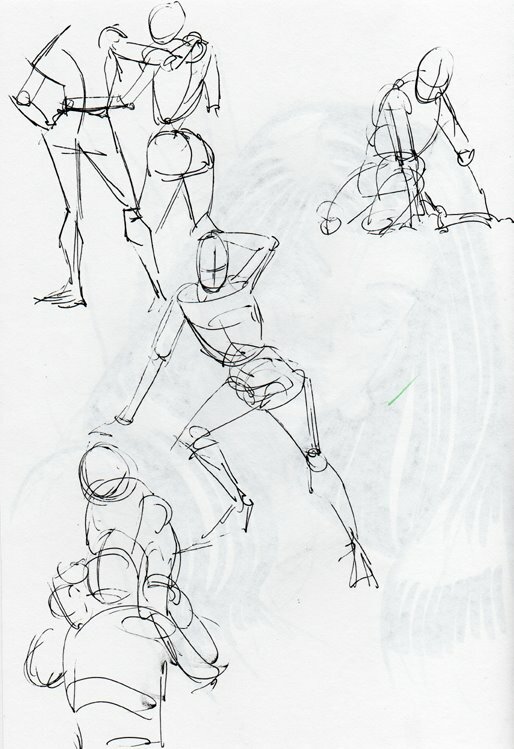 I've been reading some notes by Walt Stanchfield and I thought it had been too long since I'd done some gestures. 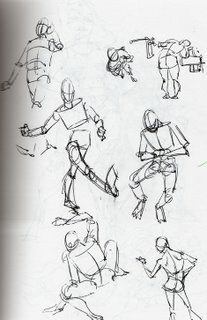 Here's a sampling, although I really should be drawing from life to do this. My wife thought this drawing was very boring and advised against me posting it. 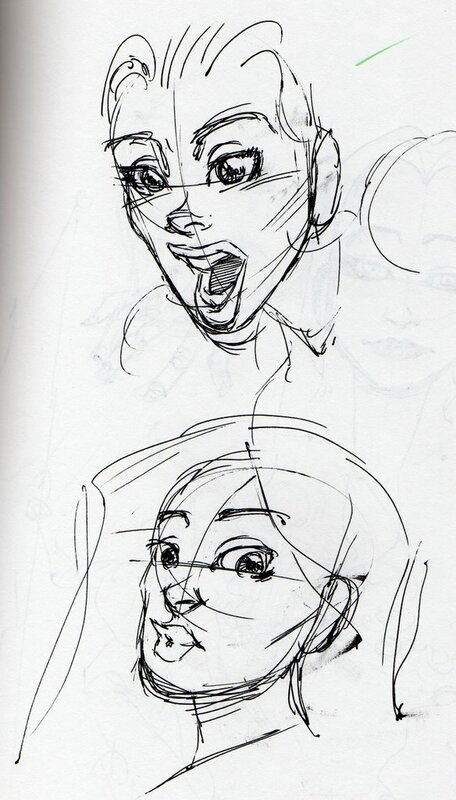 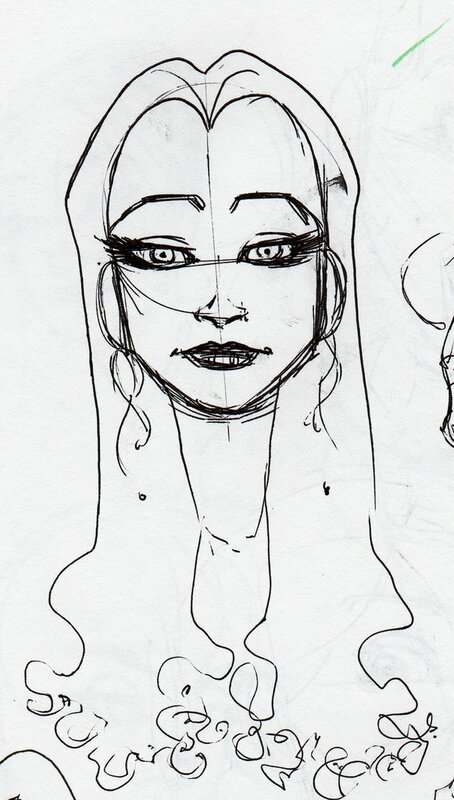 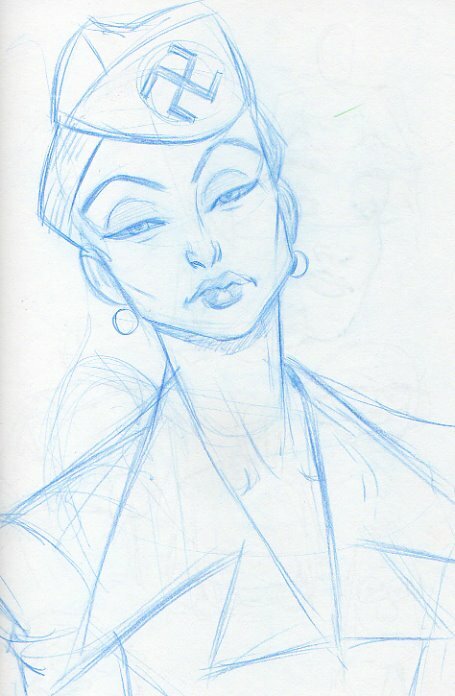 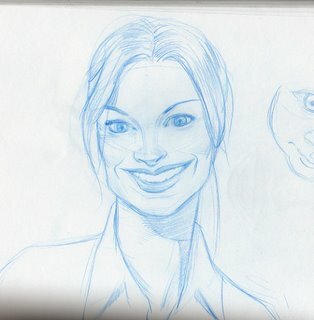 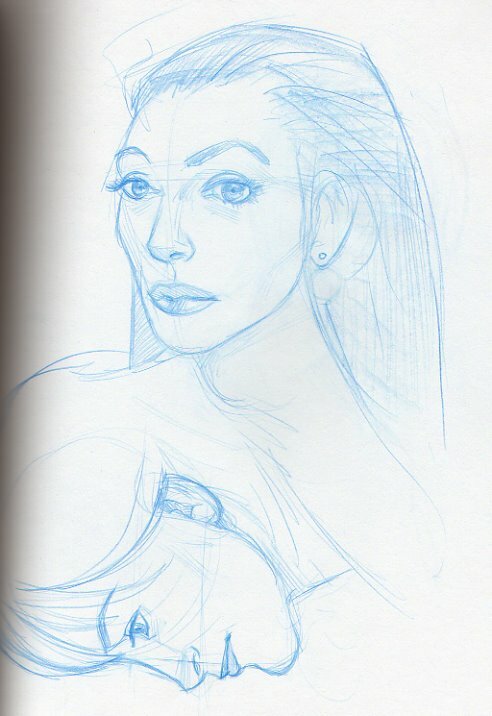 Just for the record the sketches below are of eyes previously drawn by Phil Noto. 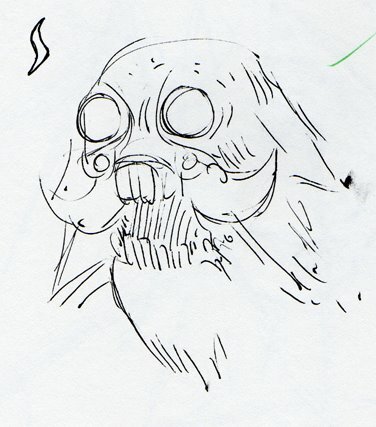 I love the way he draws eyes. 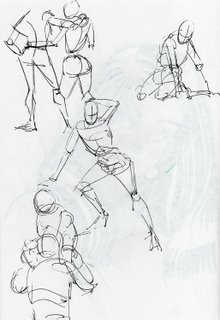 What I try to implement in my drawings and that guys like Phil Noto, Frank Cho and Ian McCaig do very well is render the eye with form. A naive rendering of an eye doesn't take advantage of all of the complexity in the eye, instead it paints the eye onto the face as if it were drawing on the surface of a balloon. 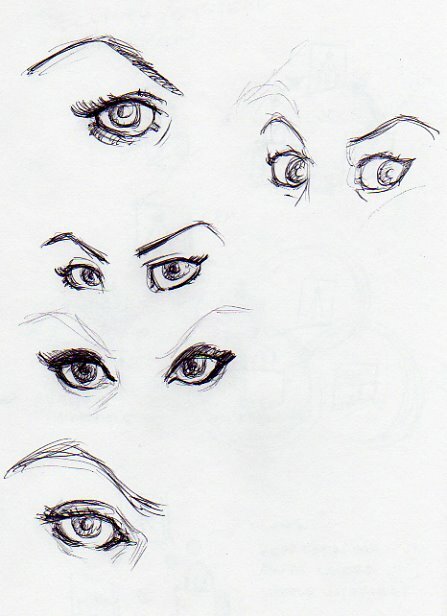 An eye is a sphere with flesh wrapping around it in very interesting ways. 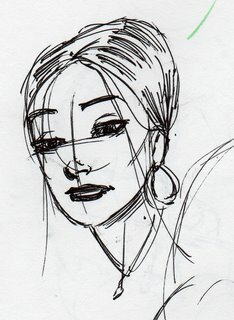 I love seeing the dimension of the eyelids, especially the suggestion of the edges and how they twist and pinch into the curruncula. 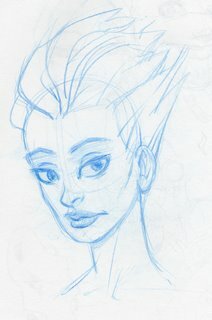 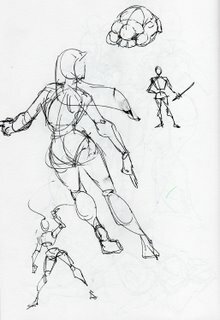 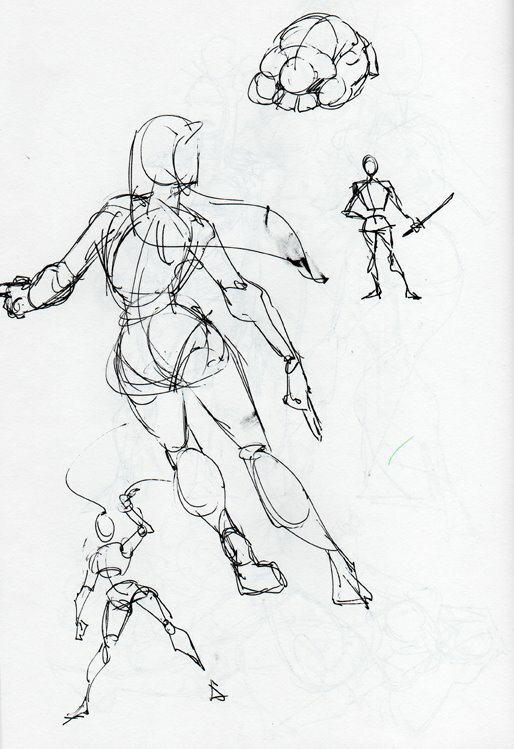 That's something I constantly have to try and push myself to do--draw with form. It's so easy to pick up a cliche I like and totally flatten it. Phil Noto also does great stuff with eyelashes. 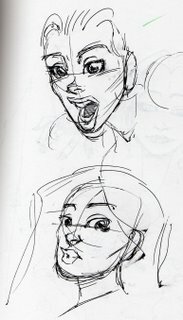 After getting all pumped copying Phil Noto's eyes I hopped over to gettyimages and made some sketches of faces I found interesting. 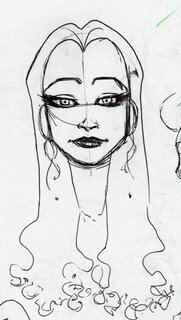 Hopefully seeing different variations of faces will help me to avoid future cliches.